Lingfield Park staged a fascinating contest over two miles on Polytrack today, the £19,000 Betway Conditions Race (3.25pm). Adam Kirby said: “The race went very smoothly and Grey Britain relaxed very well. “The small field probably helped him, but he is a bonny little horse who is going the right way. “It was a strongly-run race so you can’t say that he does not stay. It was a nice enough performance because Watersmeet is hard to pass. Although today’s contest was not a Fast-Track Qualifier, Grey Britain looks assured of gaining a place in the £150,000 Betway Marathon Championship over two miles on £1-million All-Weather Championships Finals Day at Lingfield Park on Good Friday, April 19, having now had three outings on All-Weather surfaces during the current season and a rating of 106 coming into today’s race. 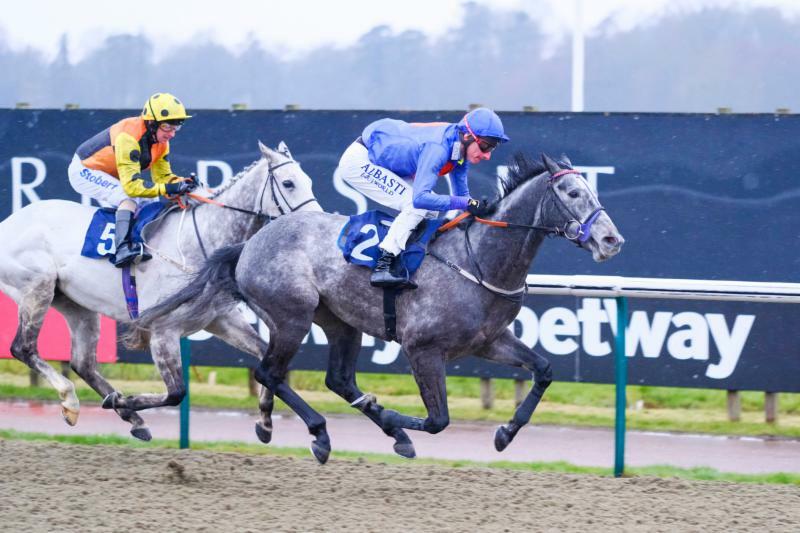 Lingfield Park stages two Listed Fast-Track Qualifiers tomorrow, Saturday, February 2 – the £45,000 Betway Winter Derby Trial (2.25pm, eight runners) over 10 furlongs and the £45,000 Cleves Stakes (1.45pm, nine runners) over six furlongs. The eight runners also feature Wissahickon’s stablemate Court House (Rab Havlin, 11/2), the easy winner of a 12-furlong conditions race at Lingfield Park on January 9, and course and distance winner Abe Lincoln (Jeremy Noseda/Ryan Moore, 14/1). Last year’s winner Kachy (Tom Dascombe/Richard Kingscote, 8/11 favourite with Betway) goes for his fourth win from five All-Weather starts in the £45,000 Listed Betway Cleves Stakes. Kachy’s main rival tomorrow is Cenotaph (Jeremy Noseda/Ryan Moore, 5/1), who was just touched off in a six-furlong conditions race at Kempton Park on January 9. Cenotaph had a 100 per cent record on Polytrack at Chelmsford City from three starts in 2018.